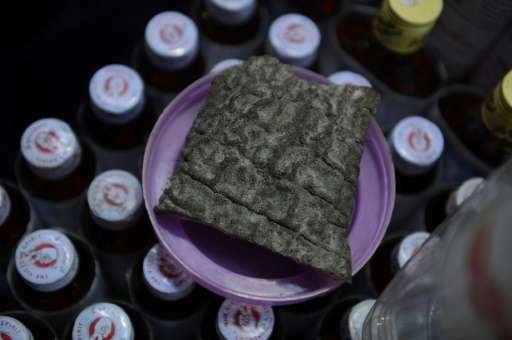 Under the shadow of Myanmar's famed "Golden Rock" punters haggle for the latest traditional medicine cure—slices of skin from the country's fast disappearing wild elephants sold for a few dollars a square inch. He breaks off to talk to a potential buyer, who baulks at the price tag of 5,000 kyat ($3.65) per square inch (6.5 square centimetres) of elephant skin. Increasingly carcasses are being found stripped of their skin, the hide used for traditional medicine or reportedly turned into beads for jewellery. Some of it is sold in local markets, but the vast majority goes to feed neighbouring China's inexhaustible taste for exotic animals. The animals are killed or smuggled alive to be used in the tourist industry in neighbouring Thailand. 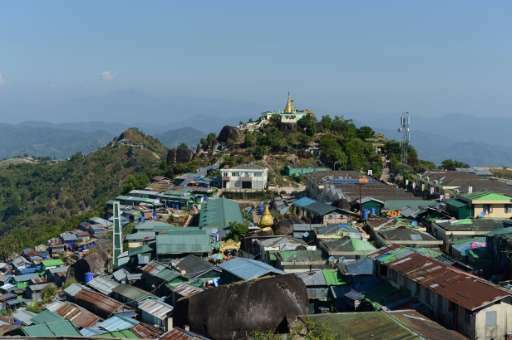 A maze of shops openly selling everything from pieces of ivory and tiger's teeth to vials of bear oil sits behind Myanmar's famed "Golden Rock"